Ever since I went to Iceland a few years ago I've wanted to go back. It remember it as being one of the most productive trips for bird photography that I have ever been on, on a par with Morocco. I am not allowed to go to Morocco any more following a Mrs L travel safety ban, but Iceland for now remains as IS free zone and is OK. I last went in late June 2014, so this trip was timed a month earlier to hopefully see more displaying behaviour. A three day trip in late May, Friday evening to Tuesday morning, with Shaun H.
No specific itinerary in mind, and no accommodation booked in advance, the tactic this time was to not be tied down and to go wherever the weather appeared the nicest on the grounds there would be birds everywhere. Icelandair flight to Keflavik (west of Reykjavik) from Heathrow departed 2100 on Friday night, alllowing a full day at work, and arriving at about midnight the same evening (there is one hour time difference the opposite way to mainland Europe), costing a mere £140 at the time of booking which was great value. Car hire via Hertz was more than the flight at £240, but for this we got a decent sized VW Golf estate with plenty of room for all our stuff, and to sleep in if we did find ourselves miles from anywhere. We took advantage of this on the first and final nights when there was no point getting a hotel. We got accommodation for the two middle nights at a hotel in Borganes at about £80 per night for a double room which included breakfast. 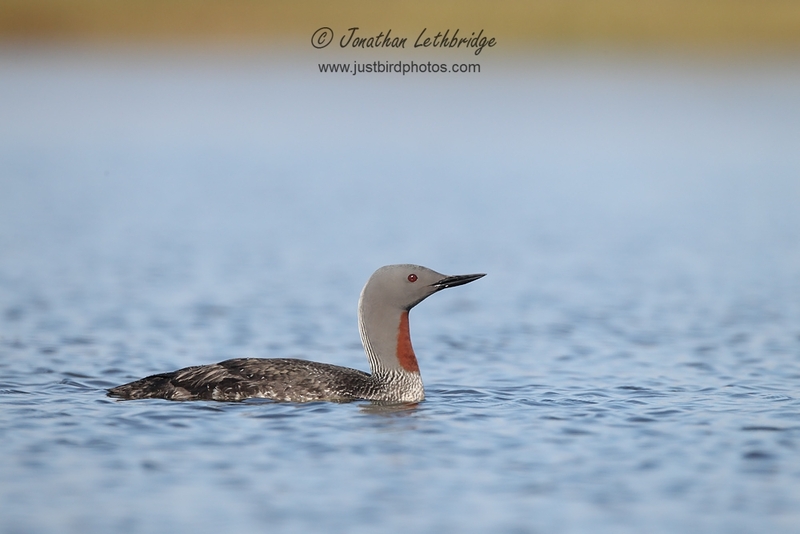 Some decent research on a Red-throated Diver site was all I did. Everything else was completely random. 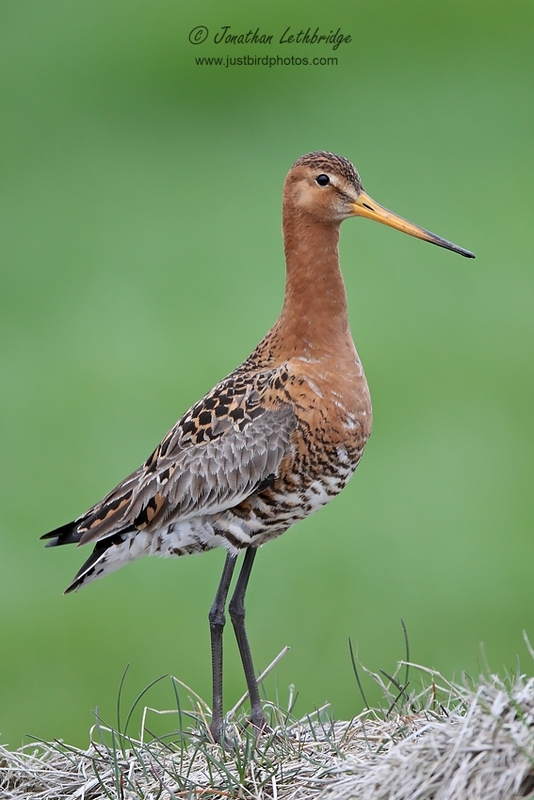 Most of the birds we wanted to photograph in Iceland were very common. Shaun insists on proper meals and going to bed at 6pm. Iceland is not the gastronomic capital of anywhere, and these were largely disappointing and expensive. We could not find anything that wasn't fast food in the depressing settlement at Keflavik and were reduced to KFC. KFC for a tenner. Arrival into KEF was very easy and we were on the road by 1am, heading south east towards the Diver site. The weather was distinctly unpromising, with sheeting rain and absolutely freezing. We pulled into a layby at around 2am somewhere east of Grindavik on the south coast for a fitful few hours of "sleep" before continuing on to Eyrarbakki. The weather here was pretty grim too, and certainly too dull for photography, so whilst it appeared promising we instead pointed the car at lighter skies to the north east and drove until we hit sunshine. This proved to be a good tactic and it wasn't too long before we hit actual sunshine somewhere along road 272 and 268. The only trouble was that this far inland the birds dried up, mostly due to the hostile terrain that for most species would prove difficult finding food. 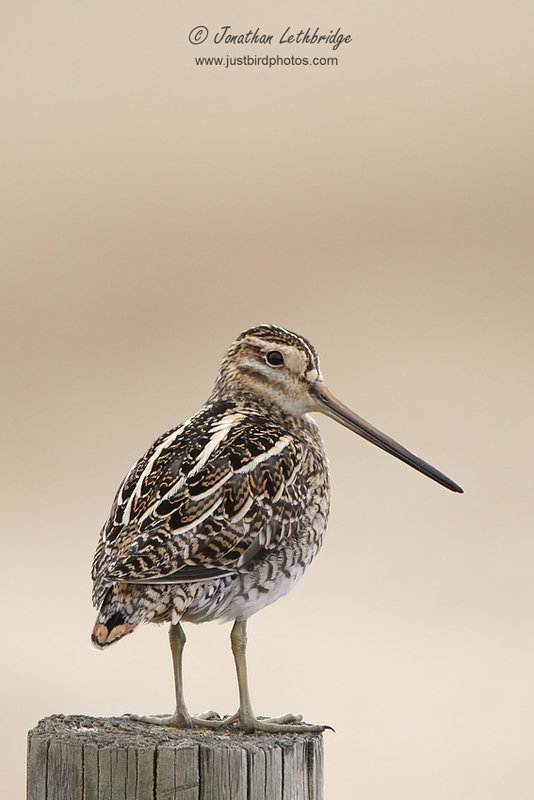 Nonetheless we photographed nesting Oystercatcher and had a crack at a few roadside Snipe and Whimbrel. At a random stop on a smaller side road in order to be able more safely stop the car and photograph from it we came across a Ptarmigan on top of a rocky outcrop, and managed to creep it for some frame-filling shots. I've never tried to get anywhere near one in Scotland before, so didn't know what to expect. What I can now tell you is that they can be pretty tame if you move slowly and deliberately, and we managed decent shots of several male birds over the course of the course of the trip. 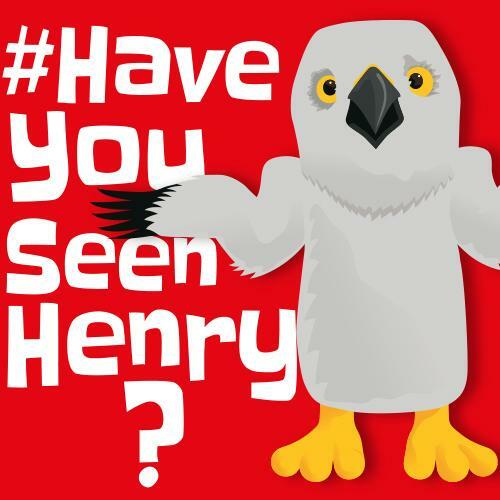 The second bird however was easily the best. In common with all of the birds that we saw, this one was sat on top of a prominent feature in the landscape. The tactic was to get in the right position for the light and then slowly advance on it - ten paces and take another shot. Repeat. As we got closer the bird then stood up, and perched even higher on the rock which actually made the images even better. It stood watching up for a while, not sure whaat to do, and then was off in a whirr of wings, though not far. We saw several birds perched like this each day, either on rocks or on a grassy gnoll. Each bird clearly had a favourite lookout point, as sometimes when returning down the same road we would see a bird in exactly the place we had first seen it. After this second bird however there was really no point trying to get better images and so on subsequent birds I just went for more landscape style shots. Given I've never got more than a blurry digiscoped shot before, I couldn't believe that we had simply got out of the car and walked a Ptarmigan, but that's just how it happens sometimes. For the purposes of this trip report I'll pop in a photo here and a photo there of all the main species, and then later on do a series of much more in depth posts on individual birds. 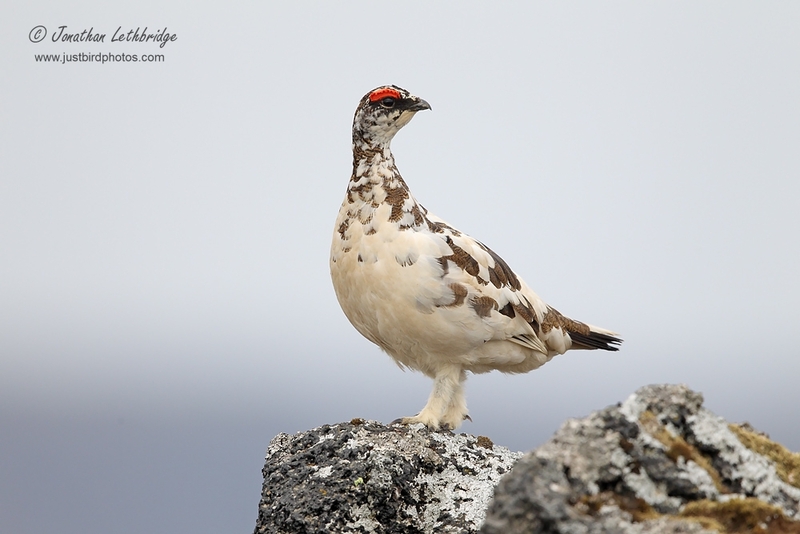 Close to this Ptarmigan spot we also spied a trio of Harlequin on a small island in the middle of a large river. Leaving the car we picked our way down there, but the river was bigger than we thought and the birds were still some way off. Still, really nice to see them and these were Shaun's first as he hadn't twitched the Hebrides bird with me. A pair and a single male, they were just loafing around on a shingle bank half way across, and were spectacular in the sunshine, if a little wary despite the distance. Not a lot could be done on the photographic front so we picked our way back to the car and carried on. To be honest the landscape here was a little barren with not much in the way of bird life, so we gradually found ourselves heading back the way we had came on a circular route. This took us back towards much duller weather but this was a short trip and we needed to be seeing birds at the very least. 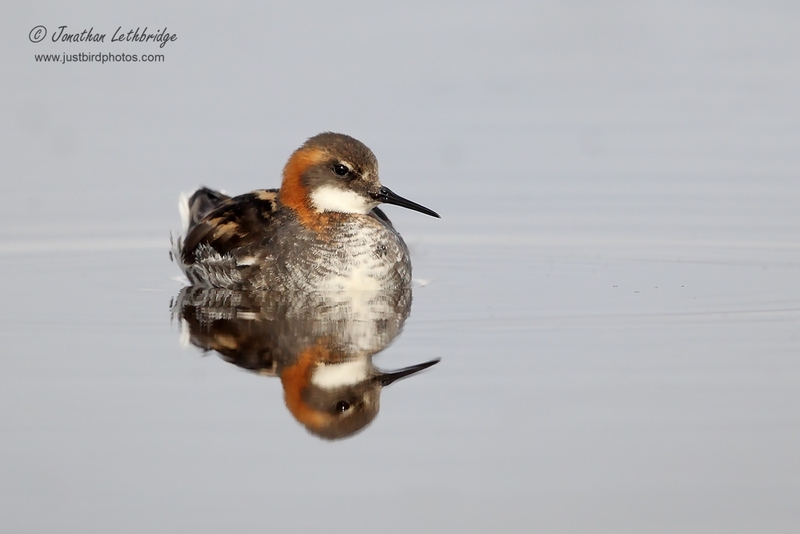 We stopped a couple more times near small pools, one of which by a road intersection was carpeted in Red-necked Phalaropes and other birds. While Shaun busied himself with the tiny waders, I decided against doing so as the situation was not as good as ones I had previously encountered, and instead picked my way around the pooI to seek other opportunities. I managed to get my only Redwing photograph of the trip here, but it does not stack up against the images taken in 2014 unfortunately. Everywhere we went we found the Redwings incredibly sensitive even to the car, and the mere act of slowing down would cause a bird to drop into cover. Before I go next time I need to work on a new tactic. The only reason I got anything last time was I think because the bird was engaged in feeding young and prioritised that over anything else, including me. 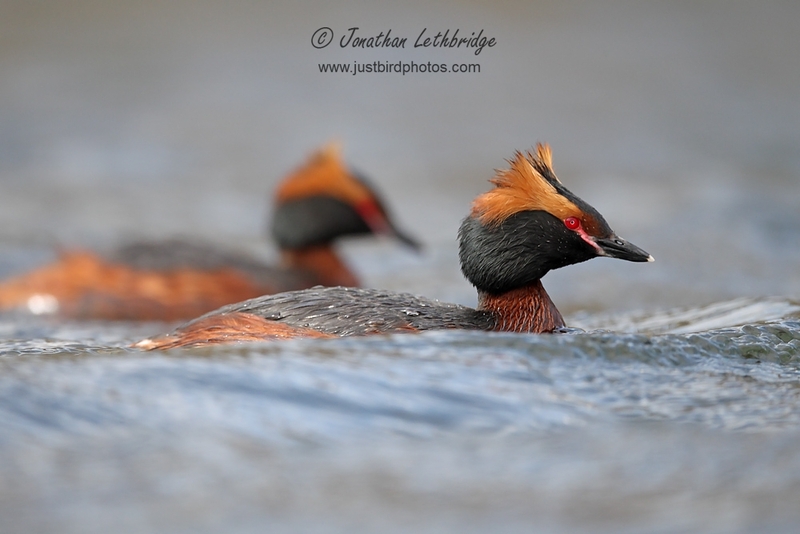 We eventually made it back to the Diver site by late afternoon, but the light was dismal. We gave it a go, but the resulting images are all dull and lifeless. Still, it was a privilege to even watch these stunning birds, and to see their behaviour change when a marauding Arctic Skua overflew their pool. 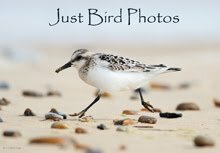 Plenty more Phalaropes too, and a backdrop of fishing Arctic Terns. Iceland really is a special place, and if like me you're as interested in the birds as taking photos of them, you can't really lose. Too dark? Too bright? Binoculars work in all conditions! We had an early evening meal of expensive fish and chips in Selfoss and used the restaurant wi-fi to work out what the weather was doing the following day. Looking at the map, it seemed that only the northern part of Iceland was clear, and that with an easterly bias, so even though it meant a longish drive we needed to head that way. Remarkably I didn't feel that tired,so we headed over the pass to Rekyavik in poor conditions and then up to Borganes, probably about a two hour drive in total. Despite it being a UK bank holiday we managed to bag a very nice room in a hotel that is just before the causeway, and for our 15,200 Kronor also got breakfast and as much tea as Shaun could guzzle. And a hairdryer. Still perfectly light, we gratefully went to bed. Shaun always travels with a mirror. We did not particularly stretch ourselves getting up as breakfast was not available until 7.30am. One of the things about travelling with Shaun is that he requires meals at the right times, regular infusions of tea, and to be tucked up in bed by half six every night. This is a pretty foreign way of birding to me, but I've never lived in Hornchurch so cannot say what it is like. The Wanstead way is to "go hard or go home", but on this occasion I forced myself to relax and thus miss out on about 50% of our available birding time. And I still arrived home knackered! Breakfast was good, with pickles, fish, cheese, salami and great bread, and thus sustained we headed north east on Route 1, passing through Borganes and up ultimately to Blönduós. Along the way we tried to find roadside birds, but once again we passed through some fairly barren landscapes where birds dried up pretty quickly. 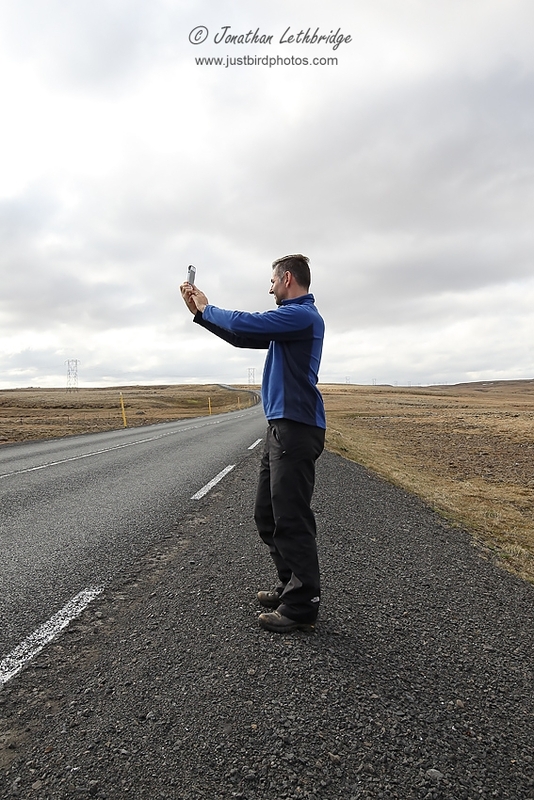 It seems that in Iceland you have a choice - follow the weather and risk spending a fair amount in the car seeing not a lot, albeit with very dramatic landscapes, or stay where the birds are but prepare to get wet or blown off your feet. Overall it appeared that the coastal areas of the western side held more life than the interior, but we never made it across to Myvatyn, which as I may have mentioned last time is teeming with birds. We made several stops at promising-looking areas, including an excellent high-altitude pool with four pairs of Phalaropes in it - these probably our best ones of the trip.It was quite boggy, but crucially the pool was very still and pretty small, which made for some nice close birds and some decent reflections, albeit that the water only shows the white sky. Not much else of interest photographically speaking - we tried and failed with some coastal waders and terns, and of course attempted lots of birds on posts images. Plenty of interest for pure birding though, with lots of stuff on the sea, and our first Glaucous Gulls in the river at Blönduós. 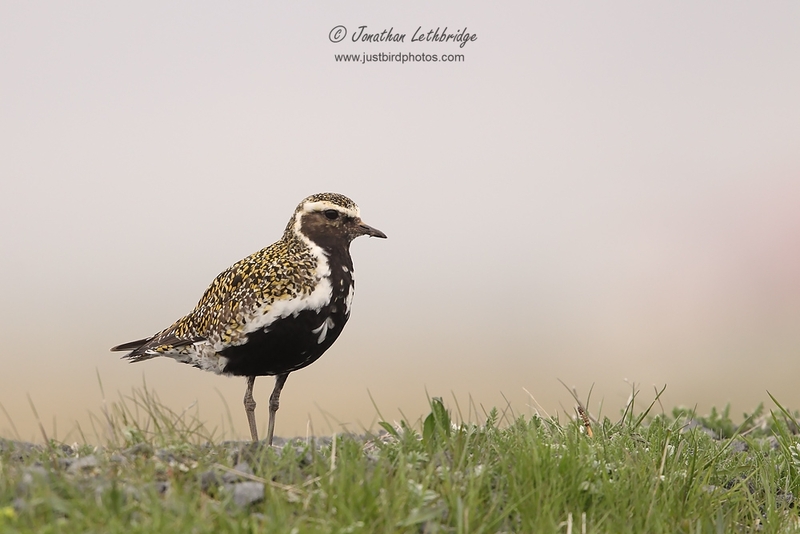 Our luck however was to change - taking a random track past a stables (horse-riding is a big thing in Iceland) we happened across some Golden Plover. Wary, they didn't make for good stalking, but as Shaun was persevering (I had long since given up!) a large 4x4 pulled up alongside our car and a guy got out. He was a Icelandic policeman on a day off, and also a keen photographer - he showed us some amazing aurora shots he had taken, as well as some fine bird photos. And crucially he passed on some fabulous gen on a spot which held a small number of Slavonian Grebes in what might be termed a golden situation photographically speaking. A long thin narrow pool that might provide close views and nice backgrounds..... We swapped details and bade him farewell, heading straight for the spot which was quite easy to find. Sure enough there were the birds, possibly up to a dozen on a few different pools. Assessing the situation made it clear that really only one of these pairs was worth attempting, and so we carefully approached, hoping the birds would tolerate our presence briefly. This they did and in spades - I took more photos in a fifteen minute session than I'd taken the whole rest of the day, and this is what defines nature photography really - one brief session can make the difference between a wasted day and an incredibly productive day. Sunday was immediately elevated to the latter category - neither of us had ever had even a glimpse of a photographable summer-plumaged Slavonian Grebe, yet here were two only a matter of metres away. I'd seen them up at Loch Ruthven in the Highlands, but that's scope views only. This time I was actually able to use the camera, and I had my 800mm lens attached, Shaun the poor relation with the 500mm, and for an incredible few minutes we made merry before retreating and leaving the birds in peace. I can still scarely believe it - looking at the images now I'd like to go back and try a couple of different things, and to be there on a still day, but for now I cannot complain in the slightest. We drove back south on a huge high, trying a few side roads just north of Borganes, such as the 533 and 535. Some good birds in good situations - Snipe, Black-tailed Godwit, Golden Plover and Ptarmigan, but in pretty dark conditions, so we decided to go back the next day and re-checked into our hotel from the previous night and went for dinner. The day (afternoon practically) dawned relatively clear, and so we drove the short distance to roads 533 and 535, which we slowly drove in the hope of photographic opportunities. More of the usual really - Ptarmigan, Snipe and so on, but nothing standout. Our first road, an attempted loop, ended in failure due to a ford that we didn't feel we could cross, and the road from the prior evening didn't seem to have the same levels of birds as then. With the morning almost over by the time we decided we had had enough, and headed south as we wanted to be in striking distance of the airport for the flight home the following morning. Heading back through the mega-tunnel at Hvalfjardagong we drove almost to Rekyajik and found our way to the Heidmork nature area, just of the main loop road. Parking up where the Helluvatn meets the Ellioavatn we breathed in a mouthful of bugs and set to work. 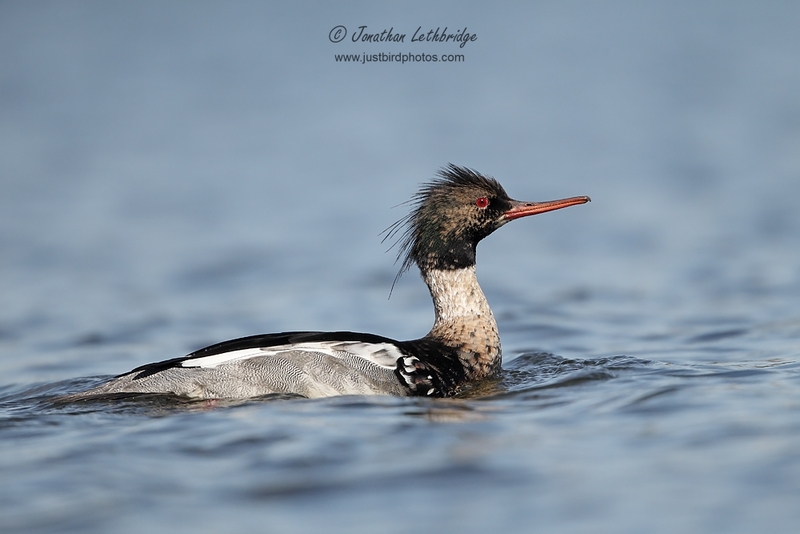 Whilst Shaun could not resist some more Phalaropes, I headed anticlockwise around Helluvatn and came across some scruffy Mergansers. One pair flew off almost immediately, however a lone male proceeded to display to anything on the water, which in this case was a Mallard floating around quite near me. The routine was that he would swim from one bay towards the Mallard in the other bay (where I was) constantly displaying, throwing his head back etc. When the Mallard completely ignored him he would then fly rapidly back to the first bay and then repeat the exercise. This worked out pretty well for photography as you can imagine, it was just a shame that the plumage wasn't that great. When I could take the bugs no more I went back to find Shaun, who similarly plagued wanted out! Next stop the Red-throated Divers again as the weather forecast suggested their area woudl finally have some sun. It did, but we found that even at 4pm the light was far too bright and the distance simply too great to defeat haze. I had not feeling very well since the previous evening so I gave up on photography and birds and instead fell asleep in the grass for an hour or so hoping for the heat to dissipate. What we really should have done was to wait until at least 9pm or so for perfect conditions, but nevermind. We drove back to the airport the long way around through many lava fields, stopping now and again where it looked promising. By far the best place was right next to the airport, a superb colony of Common Eider and Arctic Tern, but the orientation was such that this was really a morning stop. 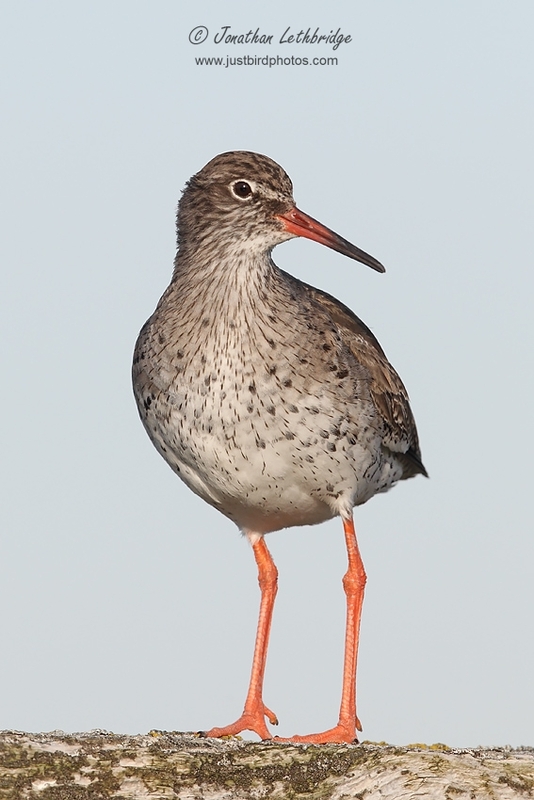 A nearby village had some excellent Redshank, and provided the best opportunity yet to see this species. And so that was the trip. We finished up in Keflavik, Iceland's culinary capital, its gastronomic heartbeat. Anyone interested in fine dining would miss this at their peril. We found a closed chinese, a couple of dingy burger joints and a KFC. We chose KFC and had an entirely dreadful zinger wrap thing, as overpriced as it was foul. At least the water was free. A refreshing sleep in our car until about 4am until my insides could take it no longer and we made our way to the terminal to await our flight home. I was asleep before we even took off I think. Three days was a good length of trip. Enough time to see quite a lot, but not to be away for very long. We spent way too much time in the car on reflection, but it was either chase the weather or be defeated by the weather, and although we did a fair few km we undoubtedly got more photographic opportunities which was the whole point of the trip. The backdrop of constantly drumming Snipe was something I'll remember for a long time too. Some of those images Jono are in a different class really nice but I don't remember getting any sleep due to you snoring! Your photos are perfect!i like it, but the real adventure starts here http://poseidonexpeditions.com/arctic/, in the artic, when last year i went there i was just shocked how beautiful it is and also scary!enjoy guys!